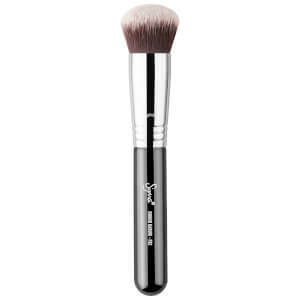 The 'Full Cover' foundation brush from PIXI is the ultimate beauty tool for a professional look. Its soft bristles are made from durable synthetic fibre and are densely packed to create an even, flawless finish with effortless application. Use to apply, distribute and blend foundation for complete coverage. The shaped head fits perfectly into facial contours, without leaving visible brush strokes or uneven lines. E.N. Directions for use: Dab and buff foundation into skin. Can also be used to blend out bronzer, blush, highlighter or eyeshadow.